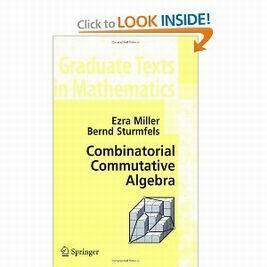 Combinatorial Commutative Algebra PDF Download Ebook. Ezra Miller and Bernd Sturmfels provide a self-contained introduction to the subject, with an emphasis on combinatorial techniques for multigraded polynomial rings, semigroup algebras, and determinantal rings. The eighteen chapters cover a broad spectrum of topics, ranging from homological invariants of monomial ideals and their polyhedral resolutions, to hands-on tools for studying algebraic varieties with group actions, such as toric varieties, flag varieties, quiver loci, and Hilbert schemes. Over 100 figures, 250 exercises, and pointers to the literature make this book appealing to both graduate students and researchers. Each chapter begins with an overview and ends with Notes on references and pointers to the literature. Theorems are, for the most part, attributed only in the Notes. When an exercise is based on a specific source, that source is credited in the Notes. For the few exercises used in the proofs of theorems in the main body of the text, solutions to the non routine ones are referenced in the Notes. The References list the pages on which each source is cited. The mathematical notation throughout the book is kept as consistent as possible, making the glossary of notation particularly handy, although some of our standard symbols occasionally moonlight for brief periods in nonstandard ways, when we run out of letters. The exposition mainly concerns combinatorially defined ideals and their quotients, with a focus on numerical invariants and resolutions, especially under gradings more refined than the standard integer grading.